Heinz may be phasing out its classic ketchup packets. It’s part of a larger sustainability push that Kraft Heinz is spearheading. By 2025, the company aims to make 100% of its packaging recyclable or reusable. Heinz’s classic ketchup packets could be going the way of the fax machine. The condiment giant announced last week that it will aim to make 100% of its packaging recyclable, reusable, or compostable by 2025. That includes its famous ketchup packets, which as any frequent fast-food customer can attest, are frequently wasted or thrown out. 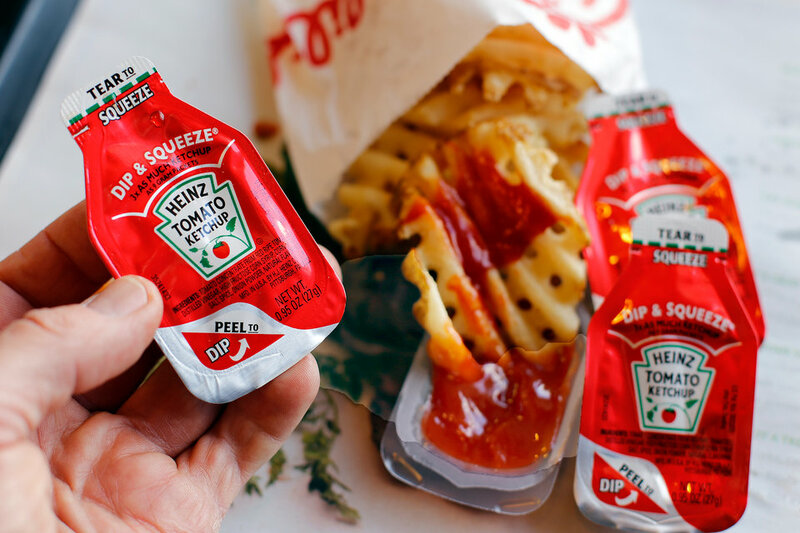 Ketchup packets are constructed from multi-layer laminates which use both plastic and metallic foil. These can’t easily be recycled, as the layers are difficult to separate, Caroline Krajewski, Kraft Heinz’s head of corporate affairs, told Business Insider. That’s not to mention the pesky bits of ketchup left over in the packets, which contributes to the millions of pounds of food waste thrown out by Americans every year. On top of that, much of the plastic recycled in the US ends up sitting in landfill sites — partly a casualty of President Donald Trump’s trade stand-off with China, which buys much of the US’s recycled plastic. While Krajewski was light on specifics about what a new replacement ketchup packet could look like, she said the company is giving itself a seven-year runway to figure out the best solution for the company and the environment. That could mean completely redesigning the packets with new materials. Scientists could also figure out a more efficient way to recycle the packets, meaning they wouldn’t have to change at all, Krajewski said. The push is driven in part by customers who want to see corporations take a leading role in the fight against climate change, as well as a group of shareholders who supported a proposal at Kraft Heinz’s annual meeting in April to report its recycling efforts. Kraft Heinz joins a long list of its food-industry competitors in pushing for more environmentally-friendly operations. Unilever and Nestle, among others, have rolled out sustainability plans in recent months. “Because we share a lot of the same suppliers, we’re joining them in that push right now to look at every single aspect of our value chain and determine where we can do better,” Krajewski said.